Have you ever known someone who just needs a good lashing? No, not a spoiled child. I'm thinking more of a castaway on a falling-apart raft. Some well-constructed lashing knots would have kept those logs together much better. That's what we are going to cover today. 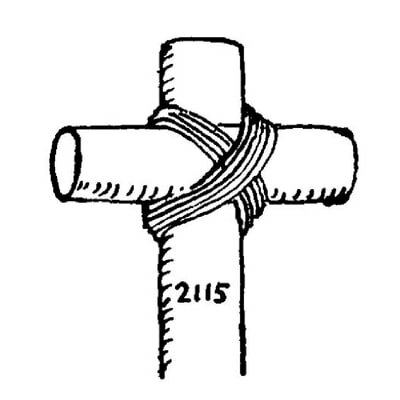 This is part 5 in a series on tying basic knots. Loops attach ropes to themselves. Hitches attach ropes to objects. Lashings are not technically knots, but they do involve knots. The category of lashings is fairly small and a decent overview can be covered in one blog post. If you have seen the movie Castaway with Tom Hanks, you may remember his homemade raft that finally got him off him off the island. Making the raft involved lashing poles together in order to form a platform with some oarlocks and a tent/sail. Tying those wooden poles together would have required the use of lashing knots. 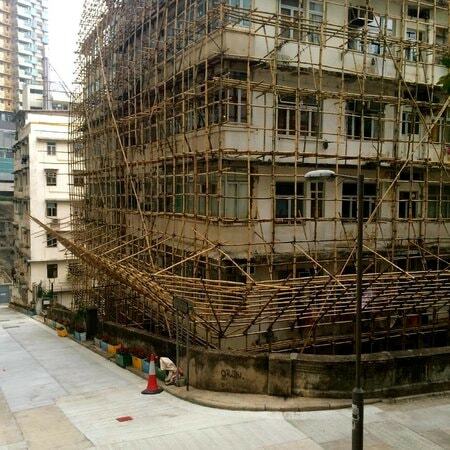 In case you think this is only something that's done in movies, take a look at how construction scaffolding is made in Hong Kong and India, even today. In many countries of Southeast Asia, bamboo is a much more economical alternative to steel scaffolding. These bamboo poles are tied together with nylon strips instead of lashing knots, but this picture illustrates the kind of applications that lashing knots can be used for. This is, as it sounds, wrapping your cord around the poles to be lashed. This is the wrapping of your wrap, usually between the poles. It tightens your wrap and sometimes converts it into a sort of hinge. This is when two or more lashed poles pivot against each other like a scissors. Sometimes desired, sometimes not. I will explain the uses of the different kinds here. In the future we hope to have tutorials for each. If I were to ask you why this one is called a square lashing, you might say that it is because the poles are tied at a right angle or that the cord is wrapped around the poles in a square pattern. Though both observations are accurate, neither of them are the real reason. It is called a square lashing because it is designed to hold poles that are squared to the ground, without slipping. One pole stands upright, and the other sits level. Proper square lashings will support significant weight sitting on top of the horizontal pole. 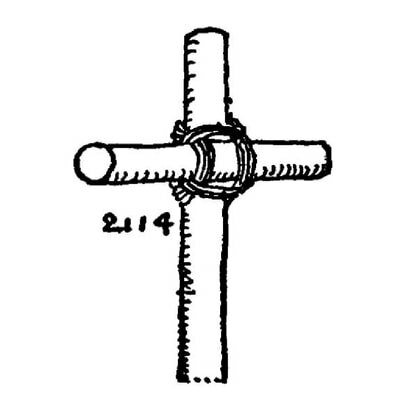 Like the square lashing, the diagonal lashing is named for the poles' orientation to the ground. Instead of preventing slipping, a diagonal lashing needs to prevent shearing or racking. Yes, it also is wrapped in a crisscross diagonal pattern. Round lashings are made by wrapping a cord around two parallel poles. The goal is for the friction of the rope to keep the poles from shearing or sliding. Round lashings are usually tied in pairs and do not involved frapping. Uses for the round lashing include. Extending a pole by tying another two it, or making a platform such as the raft in Castaway. 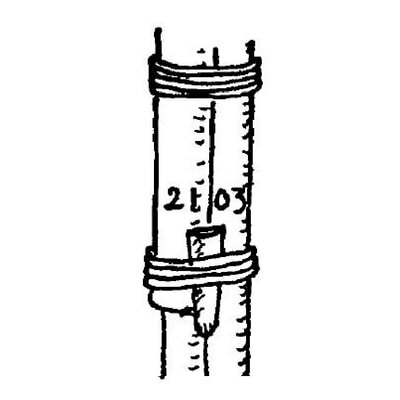 Similar to a round lashing, a shear lashing is tied around two parallel poles. Unlike the round lashing, a shear lashing is designed to pivot or shear. 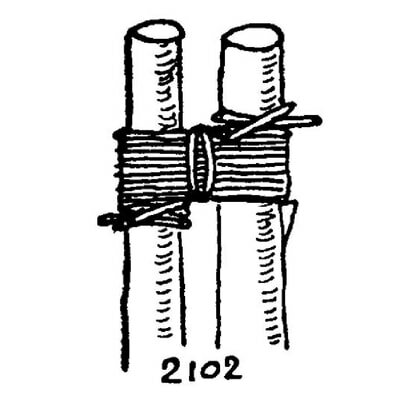 Shear lashings are often used for the legs of a lashed structure. Continuing in the same line of thought, a tripod lashing is basically a shear lashing for three poles. Uses for a tripod lashing include a cooking tripod or a well tripod. You can find a tutorial here for how to make a tripod lashing. 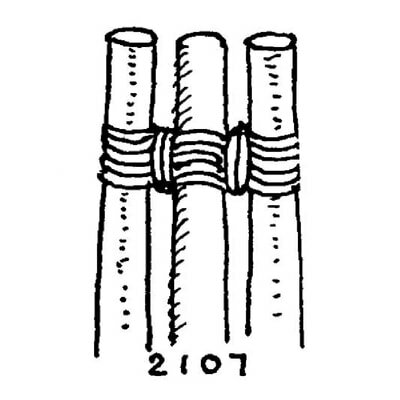 As shown above, lashings can be used to create complex structures without nails. The use of such knots to make structures and supports is called "pioneering." People have made everything from seesaws to giant sculptures with the help of lashing knots. Google "pioneering projects" for more ideas of how these knots can be used. Can you name a movie or a real-life instance where you've seen lashing knots used? Who of you, after reading this, wants to make a primitive tree fort in their back yard? We'd love to hear about it in the comments! Remember, commenting could win you 100 ft. of paracord! This week, win #275 paracord. Last week, rpmasoner won 100 ft. of #750 paracord! Want to hear more stories like this? Subscribe to our newsletter!